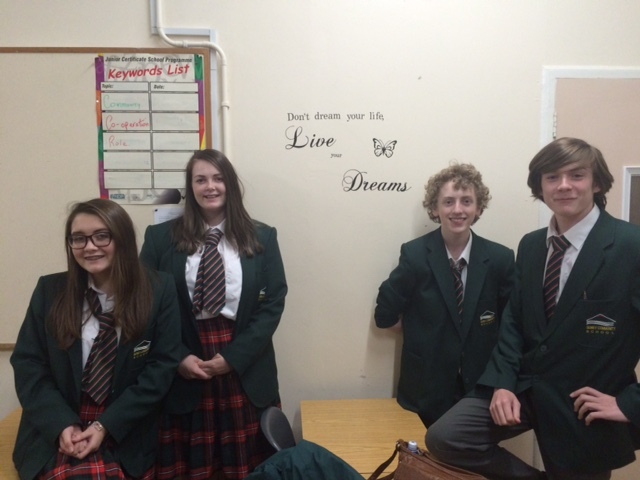 Gorey Community School students have been debating up a storm since the start of the school year. 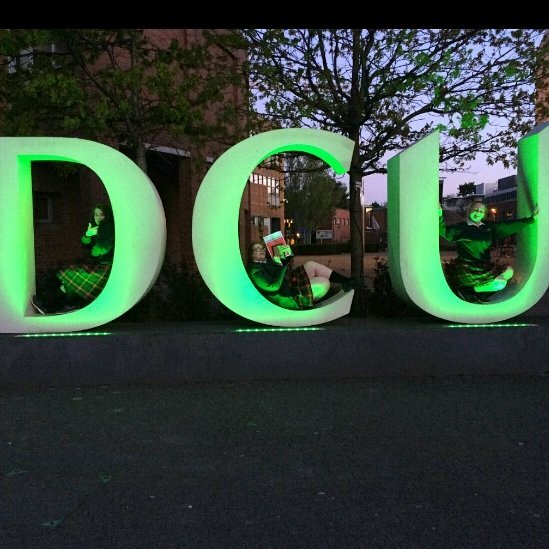 Our Junior debaters have been participating in the UCD Law Society debates, while our Senior debaters have been taking part in the Concern debates, with recent debates against Creagh College and St Mary's in Arklow. Some of our Senior girls will also shortly be taking part in the Soroptimist Girls' Public Speaking Competition in Wexford, where they will be speaking on various topics of interest, such as mental health and the empowerment of women. 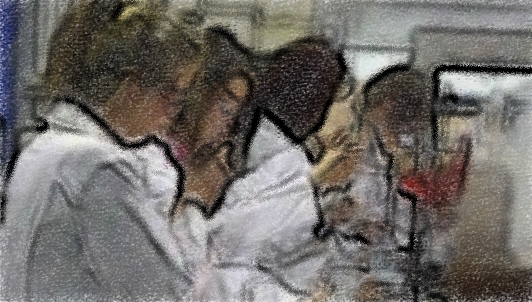 Debating offers students the opportunity to participate in a non-physical extra-curricular activity, which helps to improve public speaking skills, builds confidence and is all-inclusive. Junior debaters meet on Thursdays at lunchtime in room 104. Senior debaters meet on Mondays at lunchtime in room 104. Anyone interested in taking part can contact Ms Greiner or simply turn up to debating meetings on Thursday/Monday at lunchtimes in room 104. 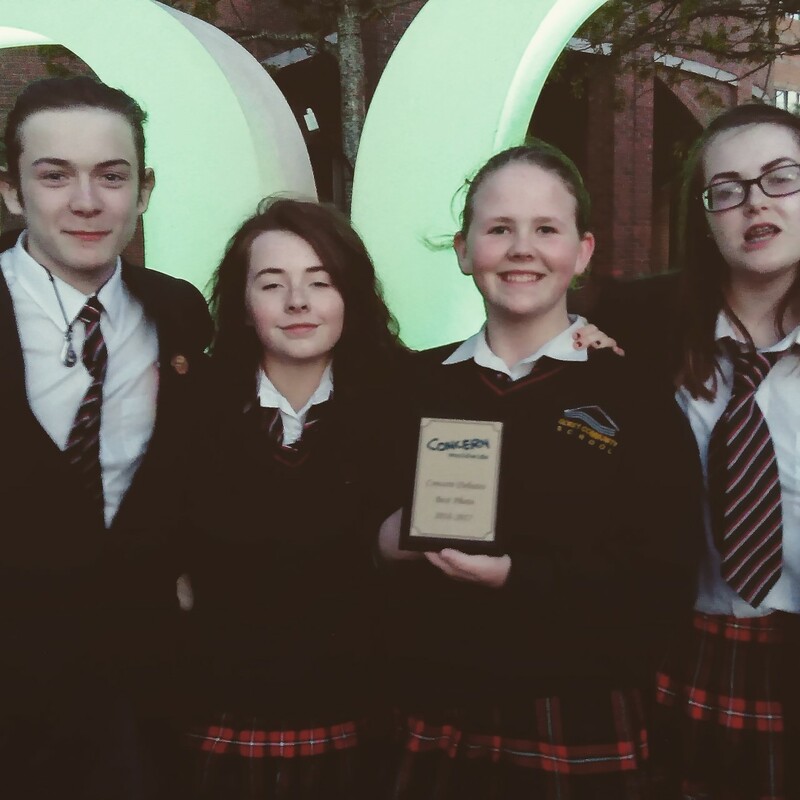 Well done to the Senior debaters who picked up their Concern Worldwide recognition award in DCU last Thursday. 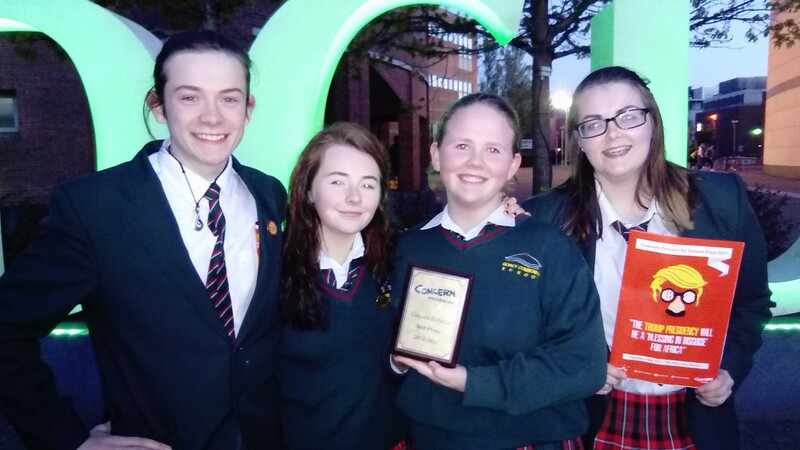 The team actually won the "Best Photo" award, for a photo taken before their first debate in St Mary's in Arklow last October (see school website and previous news photos). The photo had the caption "Don't dream your life, live your dreams" and was chosen by Concern Worldwide for encapsulating a number of different values, such as courage, entrepreneurship and a vision for the future.